The cable is made from 3mm multi-strand galvanised wire with protective pvc sheathing. It has a galvanised 8mm Carbine with eyelet at the "car" end with quick release clip and a cadmium plated spring fitting at the trailer end. 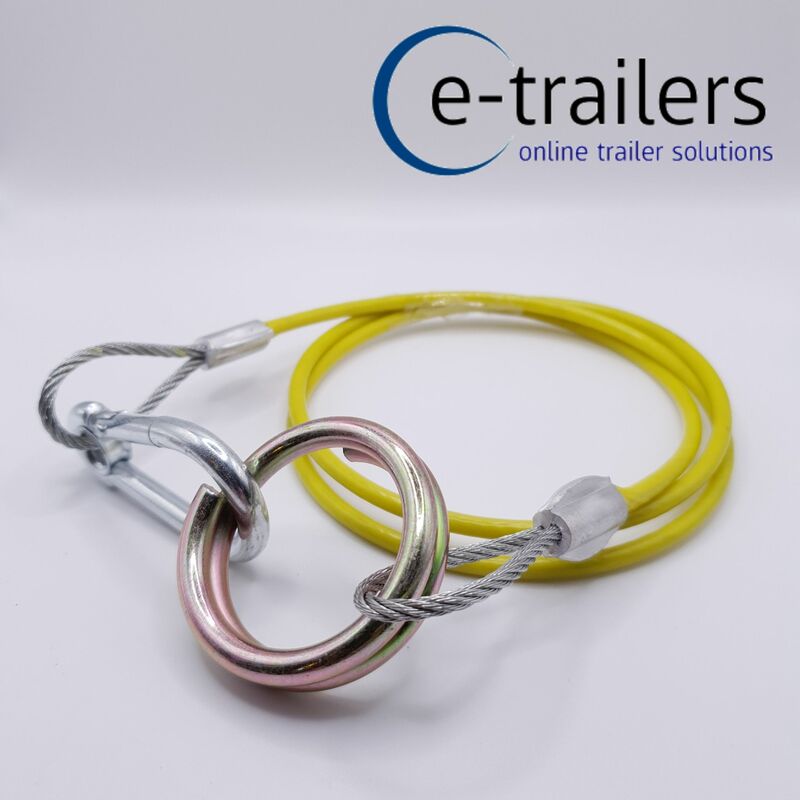 If your trailer breaks away from the towing vehicle this cable will apply the brakes before it snaps - that is why they are a legal requirement on all braked trailers. If you are stopped by the Police or VOSA and don't have a properly attached & functioning breakaway cable on your caravan or trailer you could be facing a £60.00 fixed penalty notice & 4 points on your licence !! These cables are every bit as strong as the Cables supplied by Ifor Williams, Bateson, Graham Edwards & Indespension but at a fraction of the price.